Latest report has it that the upcoming Samsung Galaxy Note 9 will be officially unveiled on the 9th of August this year. This is 2 weeks earlier than the Note 8 last year's release date. Rumour also has it that Samsung is planning to release the Note 9 early enough before Apple announces its 2018 iPhone units. The Samsung Galaxy Note 9 "unpack" event will take place in New York city. 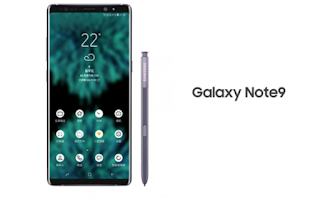 The device is expected to feature a similar design as last year's Note 8 with a 6.4-inch Super AMOLED display and a 1440 x 2960 resolution. The Note 9 units for China and USA market will be powered by the Snapdragon 845 chipset while the Exynos 9810 will be used for other market, coupled with a 6GB of RAM and 128GB of expandable storage. The device will still feature the rear mounted fingerprint reader and not the In-display fingerprint scanner as the technology is still not ready for mass production yet. The phone will allegedly feature a dual rear camera setup with both lenses having 12MP. It will also have a variable aperture feature that ranges from a wide f/1.5 to f/2.4. Even though the information above is from a fairly reliable source, the spec and the launch date of the upcoming Samsung galaxy note 9 hasn't been officially confirmed yet, but we will definitely keep you guys updated if any thing new comes up.